On August 17, we began hosting Sunday worship services in the Loft for members of our body who are planning to make the Plano campus their church home. As we prayed about how to better serve the growing Watermark body and also better serve our members coming from farther distances, we grew increasingly confident that a new Plano campus would, (1) allow us to better serve our members who live farther north, (2) allow that part of our body a greater opportunity to serve and reach out to their immediate community and (3) allow us to create space and welcome new guests to our Dallas campus. If you are praying about jumping in with us in Plano, we invite you to join us in the Loft during the 9:00 and 11:15 am services each Sunday. With the excitement surrounding a new campus, we want to emphasize that we are not creating a new church. Rather, we are committed to adding another site for our existing church with shared leadership, teaching, purpose and mission. We believe we have identified a location that is strategic and reflects the best use of the Lord’s resources. We ask that you pray with us about how the Lord would have you invest with us in providing a location for this purpose. We hope our answers to the following questions serve you as you prayerfully consider your next steps. Where is the Plano campus located? The campus we are considering sits east of Highway 75 between Spring Creek Pkwy and Legacy at 6400 K Avenue. Should we not be able to move forward in purchasing this specific property for any reason, we still intend to expand to Plano and would begin exploring alternative properties. What is the timeline for the Plano campus launch? The Plano campus will meet in the Loft through December with informational gatherings throughout the fall. Our current plan is to complete renovations in time for a January 2015 launch in Plano, but that timeline is dependent upon financial support and construction schedules. Please visit watermark.org/plano for real-time updates. Why is the Plano campus already gathering separately if the facility won’t be ready until early 2015? Our intention is to establish community, ministries and service opportunities this fall so that those who will attend the Plano campus can hit the ground running once the facility is ready. A Plano staff team is already in place to support, develop and disciple this portion of our body, and we want them to begin meeting together regularly with others committed to the area so the work of shepherding and developing fully devoted Christ followers in Plano and the surrounding areas can begin. What will be the structure of the worship service once the facility is ready? The Plano service will be led by staff, key leaders and worship team members who are committed to Plano and the surrounding communities. The teaching will be transmitted to the Plano campus via satellite feed. What ministries will be immediately available at the Plano campus? We will immediately offer community, men’s and women’s Bible study, kids (Birth – 5th grade) and junior high (6th – 8th grade) ministries. High school students will initially continue to attend or be added to existing small groups and attend monthly Shoreline gatherings at the Dallas campus. Other ministries, like re|engage, re:generation and others, will start when Godly, gifted, servant leaders from the Plano campus make themselves known – which is how ministries have always begun at the Dallas and Fort Worth campuses. What if my community group plans to attend and serve at separate campuses? We all understand that proximity is a key indicator of community group effectiveness. If you can maintain Biblical community with others who don’t attend the same Watermark campus, then we encourage you to continue in your existing group. We also recognize that many may believe it best to be in community with others attending the same campus, so our staff and leaders are ready to work with you to form new groups as appropriate. How do I give financially to support the Watermark building fund? The physical needs for all three Watermark campuses continue to grow along with the number of individuals the Lord is allowing us to serve. The current plans before us will require $3,200,000 in giving by September 15, 2014, and more in the months ahead as we develop each of our sites. We continue to believe that debt should not be used to finance any of these plans and are not currently considering any other funding options. Your prayer and response is an essential part of confirming the ministry opportunities before us. As the Lord stirs you to contribute financial gifts toward our growing facility needs, you can give online at watermark.org/invest by selecting “Building Fund” when given the option to designate funds. You can also give by writing “Building Fund” on the memo line of checks. The Elders are praying for continued clarity and God’s direct hand in either allowing or disallowing the purchase of the Plano property on K Avenue. We ask the entire Watermark body to pray with us for God’s direction and protection over our plans and daily ministry. Please see the communication from leadership on August 2 by visiting watermark.org/blog/faq-watermark-church-campus-expansion-2014 for more information. Leadership is more than willing to meet with any members with additional questions. To schedule a meeting, please contact us at elders@watermark.org. 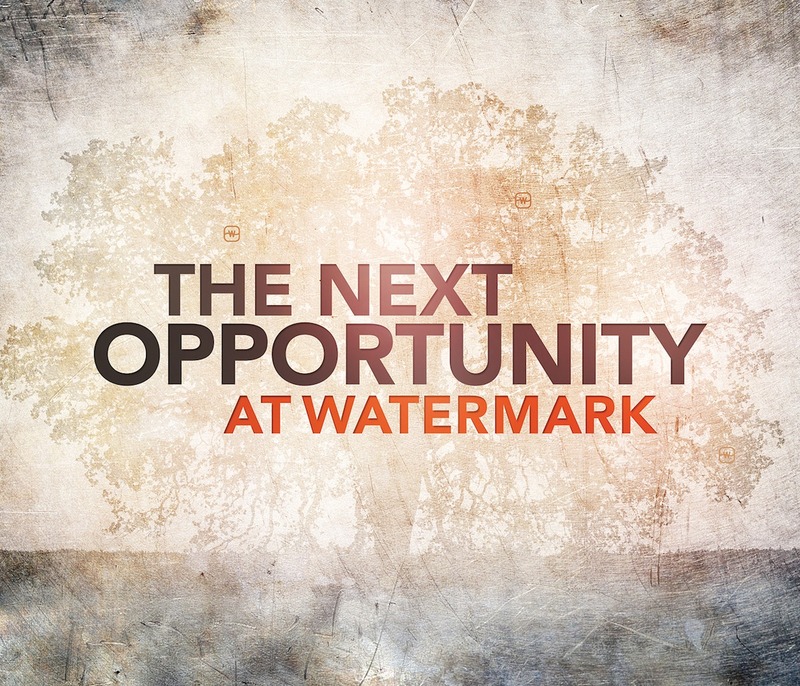 The post Frequently Asked Questions About Watermark’s Plano Campus appeared first on Watermark Community Church Blog.